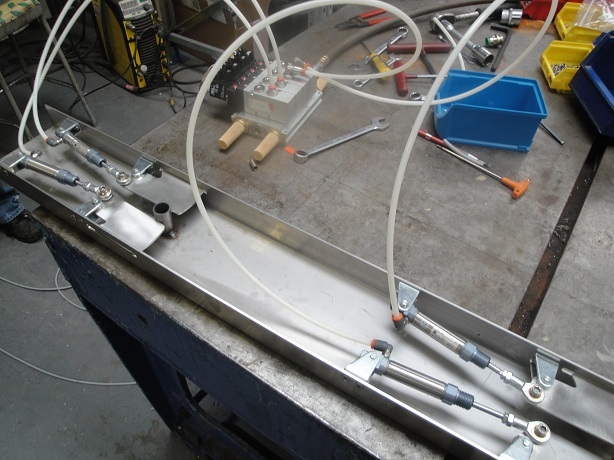 A large food manufacturer specialising in the cakes and dessert industry needed our help with a Mitsubishi PLC Control System for a spot of Pneumatic Flipper Conveyor Control, and we were more than happy to help out. The Mitsubishi PLC Control System had to correctly control cakes in the production line prior to them being dispensed the correct topping as required. 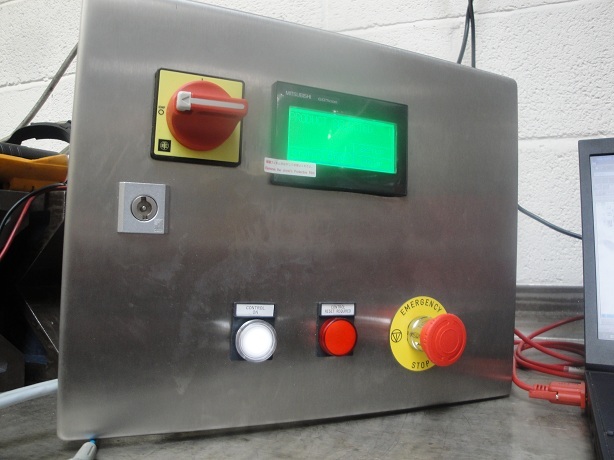 We designed, manufactured and supplied a small electrical controls panel containing a Mitsubishi FX3G-14MR-DS PLC and Mitsubishi GOT GT1020-LBL HMI, which handsomely lived up to the task of providing the correct control. 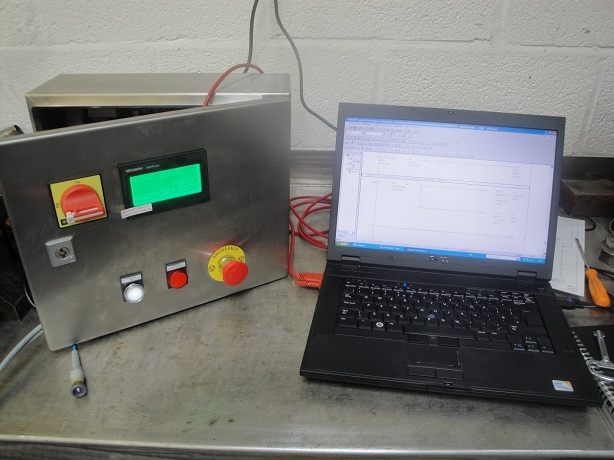 The project was completed using Mitsubishi GX Developer Software for the PLC and GT Designer 2 HMI Software. A simple menu system was included on the HMI allowing for the adjustment of speed that the flippers operated, with the required speed being configurable again from the HMI screens that we designed and supplied. Please let us know if you’re also looking for a Mitsubishi PLC Control System. We have extensive experience in the design, manufacture and installation of a wide range of Mitsubishi PLC Control Systems and are ready and willing to help you with your application – whatever it may be.